HTC pledges support for Google: "Its the ecosystem, not the operating system"
HTC CEO Peter Chou says his company has no plans to drop support for Google’s Android operating system following the search giant’s acquisition of Motorola Mobility, after Google made it “very, very clear” that its commitment to HTC would remain unchanged by the deal. 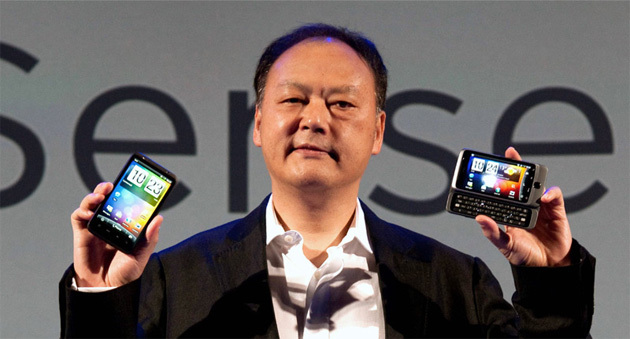 The Wall Street Journal reports that Chou downplayed the possibility that HTC would develop its own mobile platform, noting that the company would continue to extract value from its partnerships with Google and Microsoft, whilst adding its own touches to its devices that would differentiate its products from rival smartphone and tablet makers. “This acquisition is more to enhance Google’s patent portfolio, to support us, to protect us, so this is good news,” he said. There have been calls for HTC to adopt HP’s webOS platform following the technology giant’s decision to cease development of webOS-powered devices. Chou’s comments don’t necessarily rule out the possibility of an webOS-equipped HTC smartphone but the executive makes it quite clear Google and Microsoft are the companies he is backing.